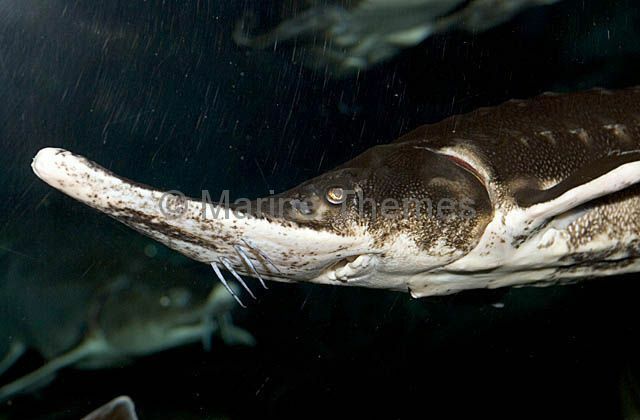 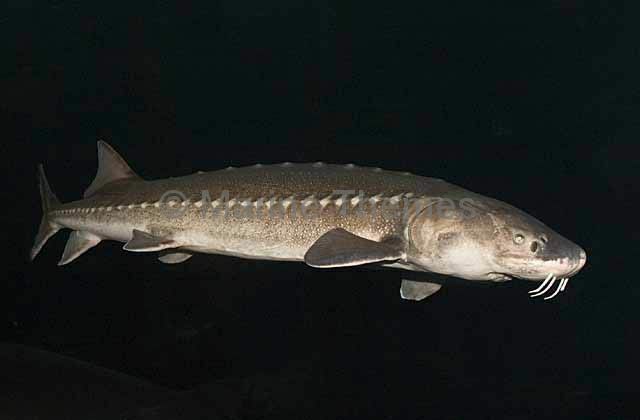 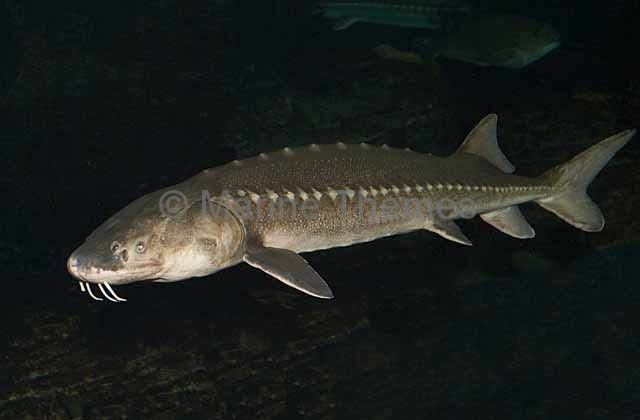 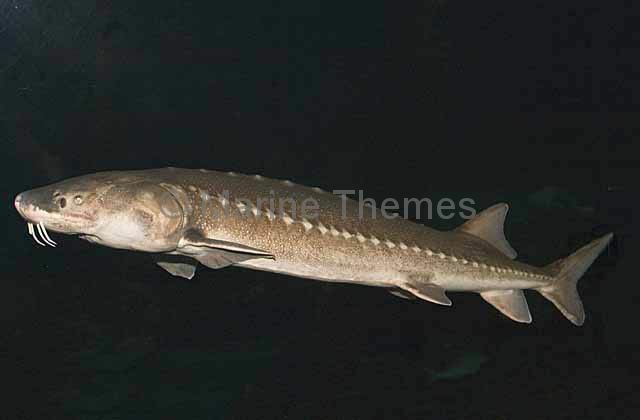 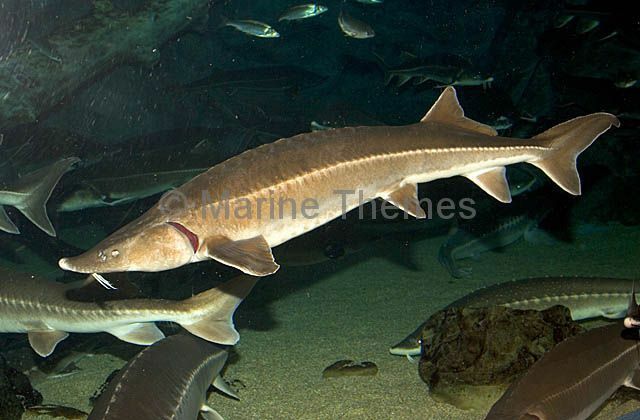 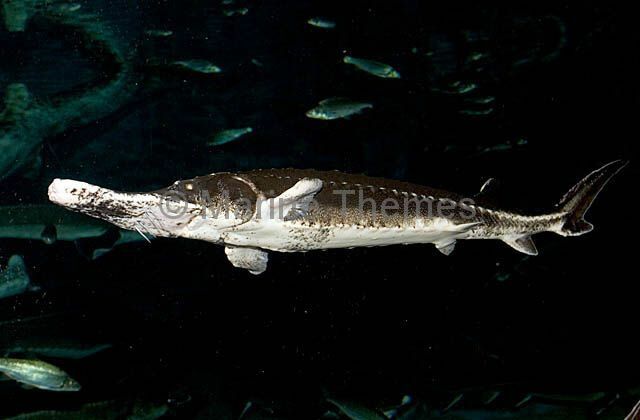 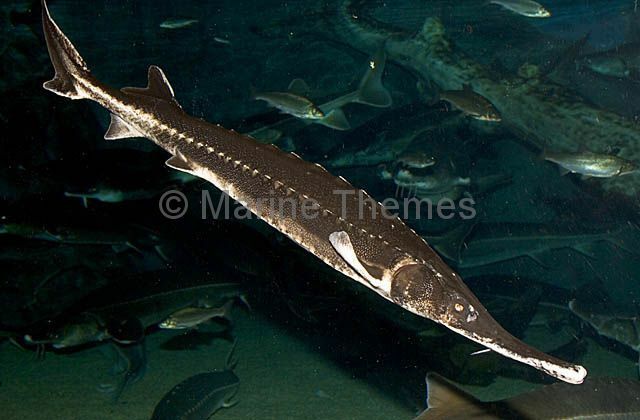 White Sturgeon (Acipenser transmontanus) Anadromous species. 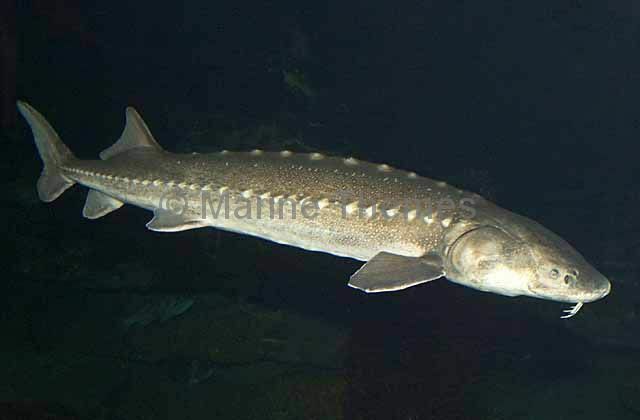 Grows to 6m and 816kg. 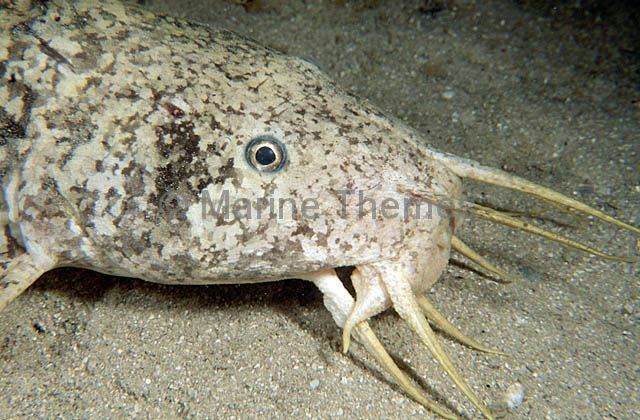 Feeds on worms, shrimp, molluscs and invertebrates. 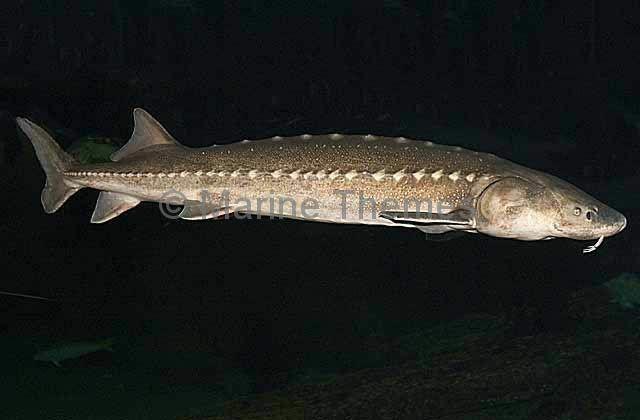 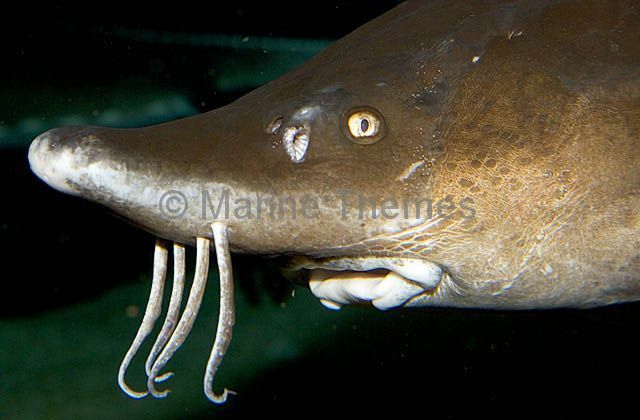 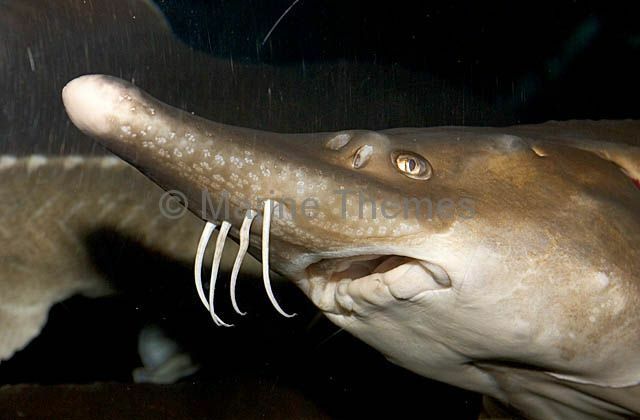 White Sturgeon (Acipenser transmontanus) Scaleless fish with large exturnal bony scutes and external tastebuds on snout. 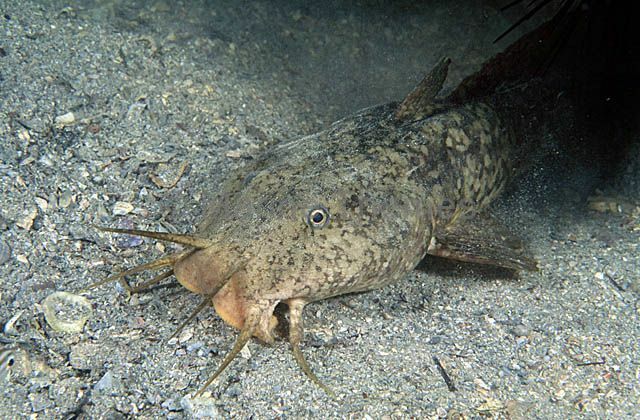 Estuary Catfish (Cnidoglanis macrocephalus) Poisonous fin spines cause painful wounds which are potentially fatal on later repeated stings. 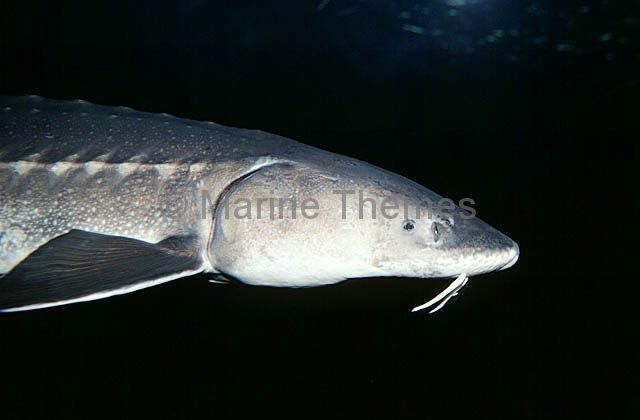 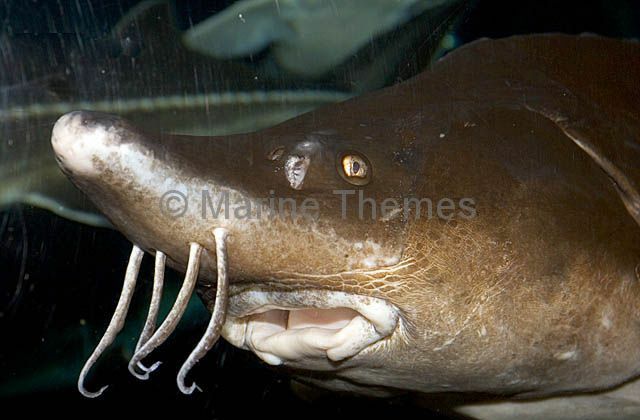 Estuary Catfish (Cnidoglanis macrocephalus) Popular eating fish with poisonous spines capable of inflicting extremely painful wounds. 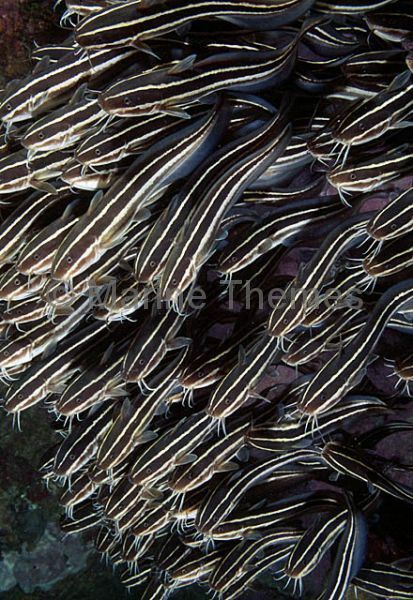 Striped Catfish (Plotosus lineatus) in protective schooling pattern. 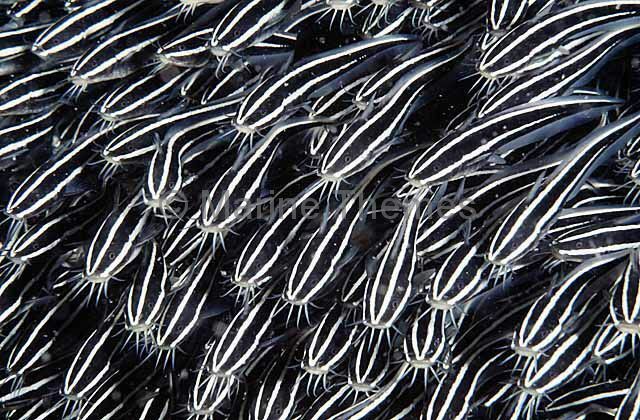 Striped Catfish (Plotosus lineatus) in protective schooling pattern. 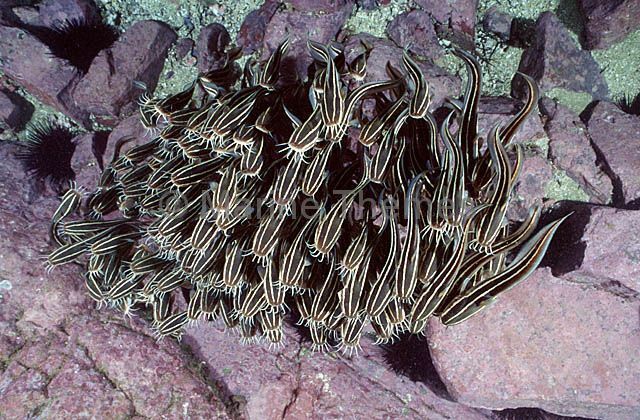 Poisonous spines. 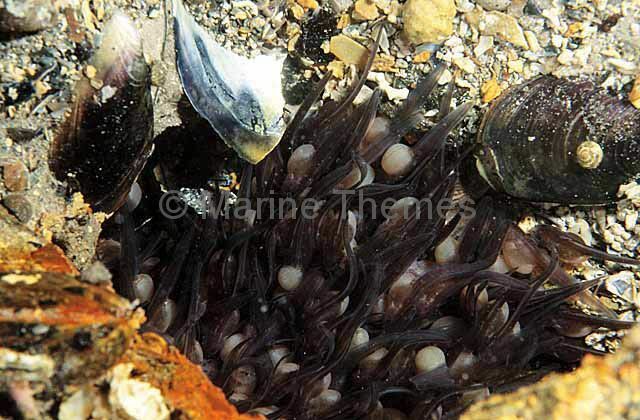 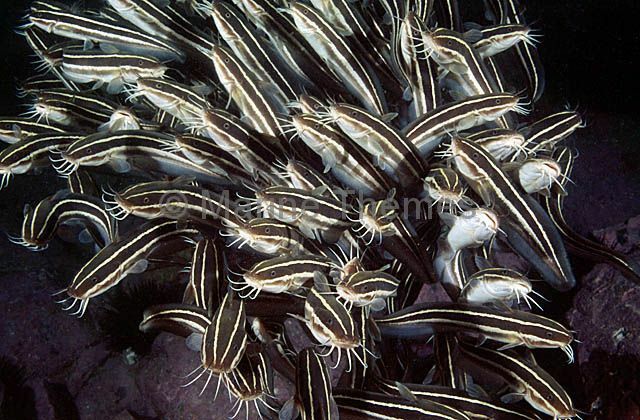 Striped Catfish (Plotosus lineatus) Schooling behaviour used as protection against predators as they feed in open sandy areas.